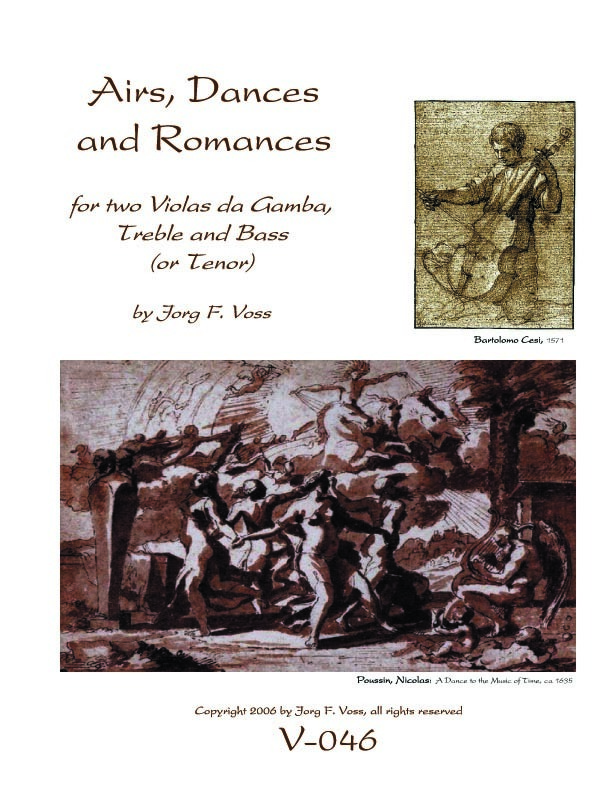 The following sheet music by Jorg Voss is available from Jorg Voss directly. for Viols, S=Tr, A=Tr or T, T=T, B=B, unless otherwise indicated. They can also be played on a variety of other historical and modern instruments. Please enter your email if you would like occasional updates.